#39 and a box plow/flanger plowing the railroad near Bartle. Travis Berryman photo. 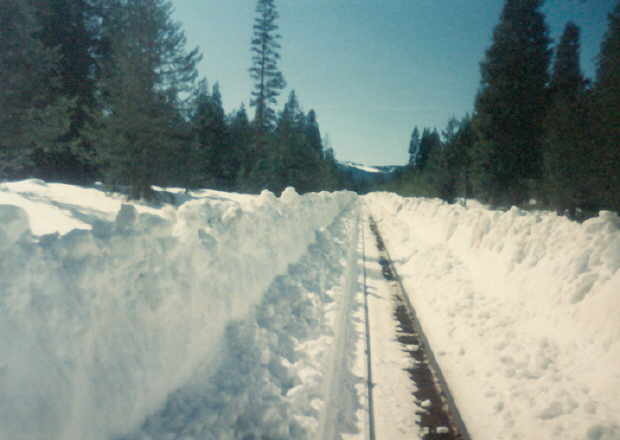 Winters in northeastern California tend to run in cycles. 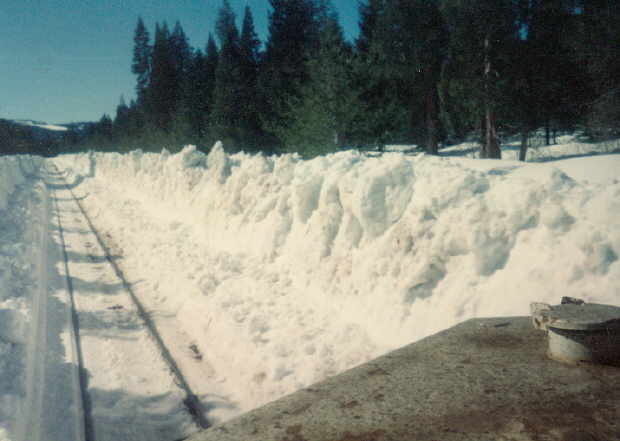 Some winters see very little snowfall, while others see the area buried under 20 feet of snow. 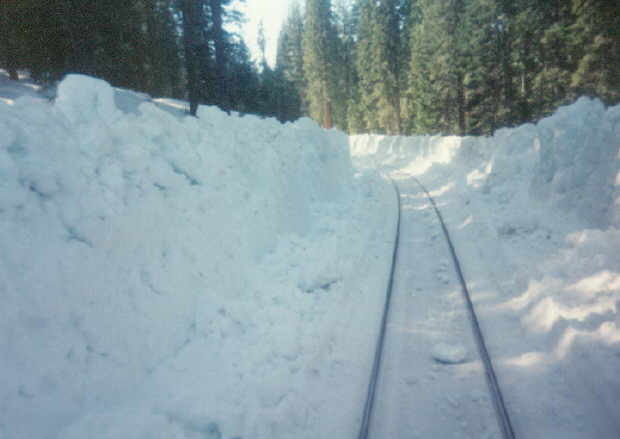 The railroad chose to suspend operations during winter months for the first several years of it’s existence, but economic realities soon dictated year-round operations. 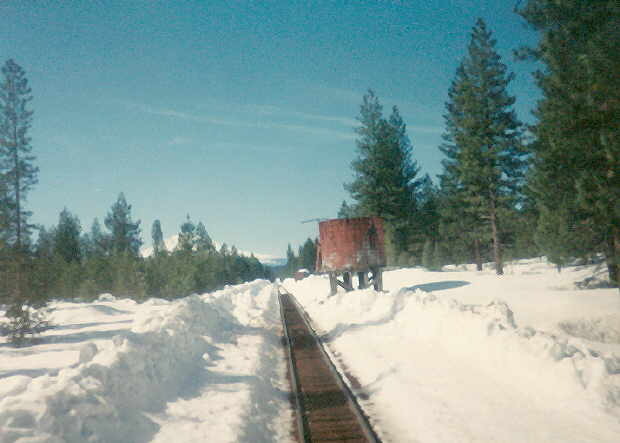 The railroad has successfully kept it’s lines open with a variety of wedge and bucker plows through the years, although it has had to borrow a rotary plow from Southern Pacific on occasion, the last time occurring in February of 1969. 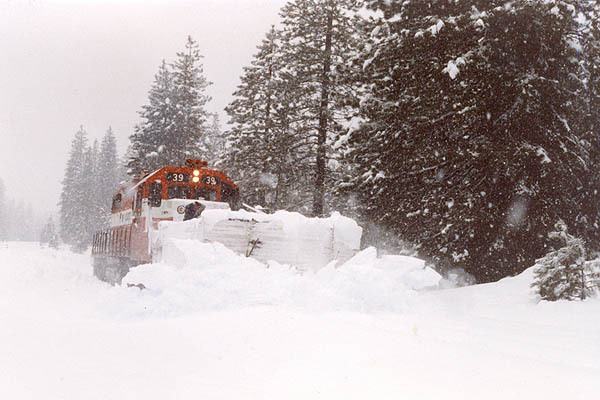 The winter of 1992/1993 was the most severe winter the railroad had experienced in many years. By this point the road had two serviceable snowplows, a bucker/flanger and the Jordan Spreader. One additional bucker/flanger and a bucker plow were both on the property, but not serviceable. 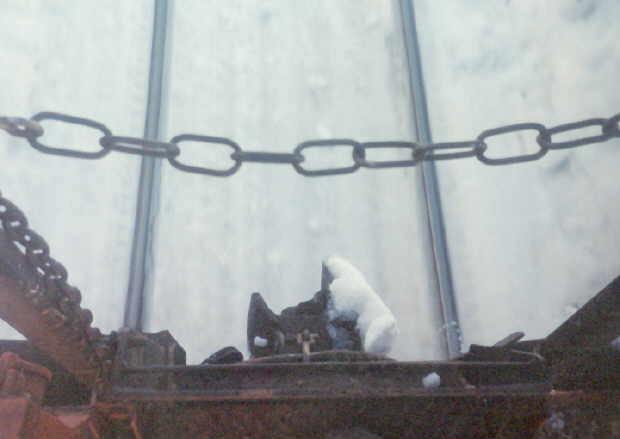 Train crews worked every day between 28 December and 23 January to keep the railroad open. Operations were further hampered when the one serviceable bucker/flanger wrecked itself near Milepost B-38. 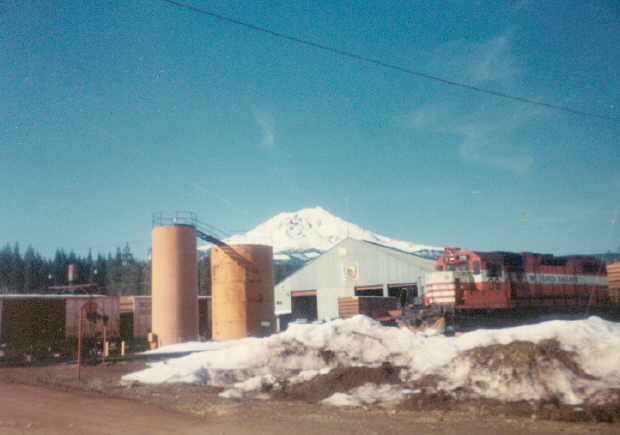 These pictures were taken in late January of 1993, several weeks after the end of the big storms. Snowbanks on either side of the tracks were already down several feet from where they had been in the weeks before.